Public Art Then and Now …. Which do you prefer — the one on the left or below? Why? 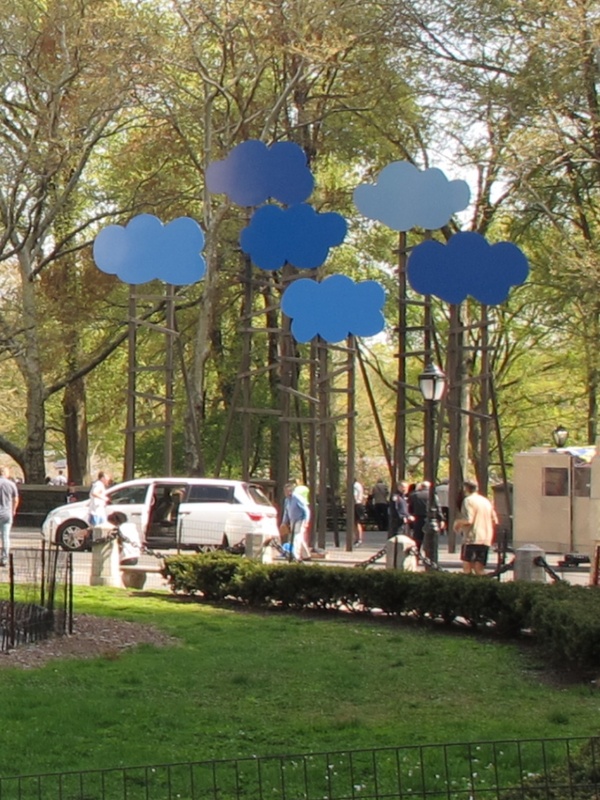 This entry was posted in New York City, Uncategorized and tagged New York City, Public Art by Kathleen Brady. Bookmark the permalink. I prefer General Sherman, only because it is more pleasing to my eye, and because I have visited his grave here in St. Louis in Calvary Cemetery, where my family members are buried. As one whose taste in art leans toward Norman Rockwell (and who isn’t ashamed to admit it) I have to confess a general dislike of abstract art over more traditional sculpture or painting. That side, I have to admit to being somewhat intrigued by the Cloud sculpture. 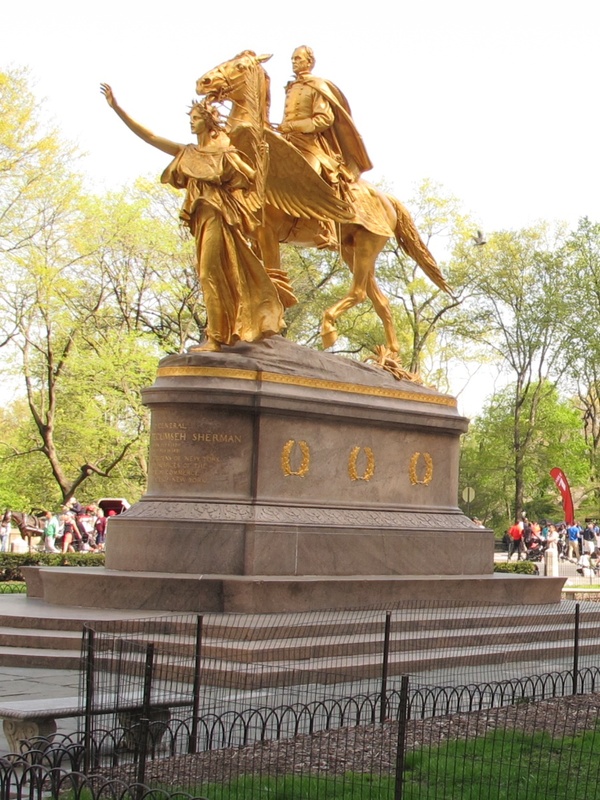 It has a simplicity compared to the ornateness of Saint Gaudens’s statue of Sherman, although of course the ornateness served a purpose in the remembrance of the man. Someday I hope to find a copy of Saint Gaudens’s bust of Abraham Lincoln that won’t require me to give up a year’s worth of eating.